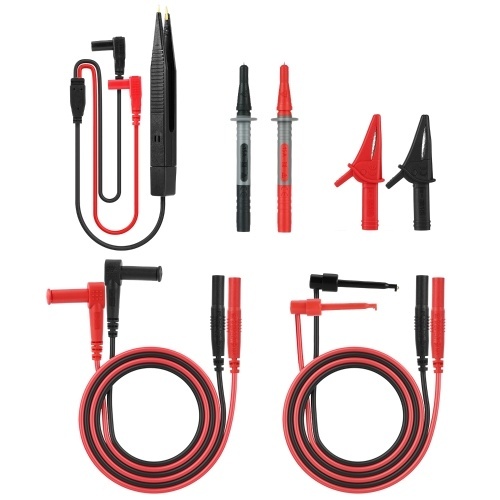 Being afraid of making mistakes which burns when you first use the multimeter? 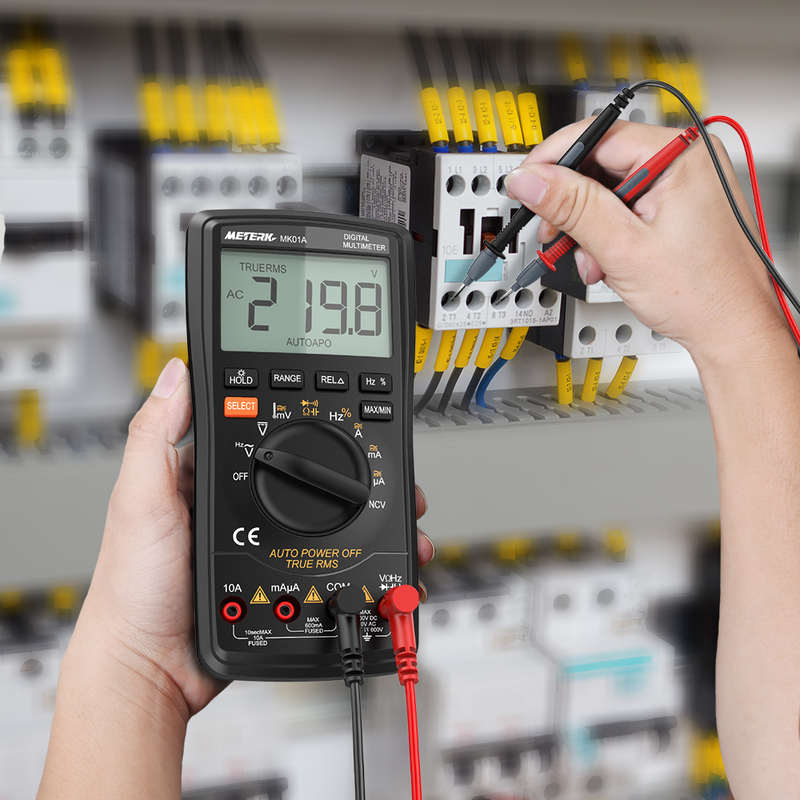 Want more accurate range display as 6000 counts, leading top of current technology? 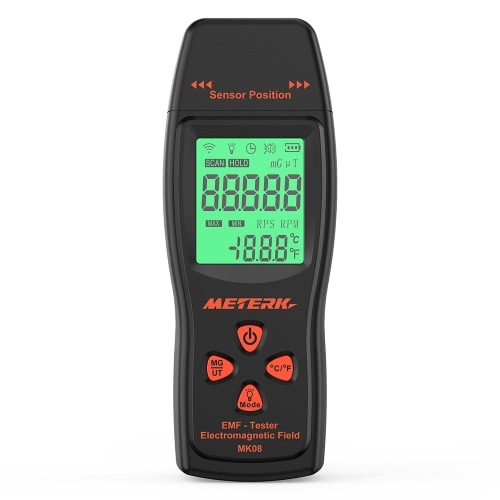 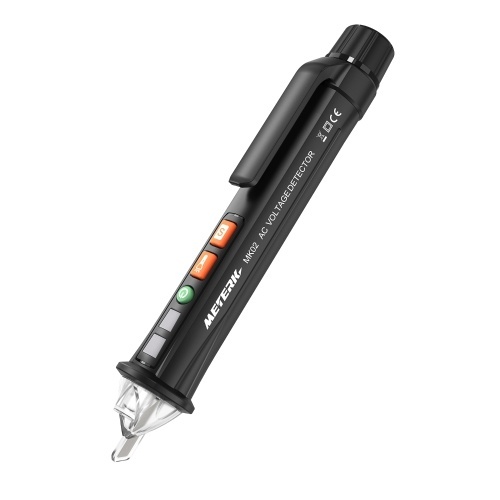 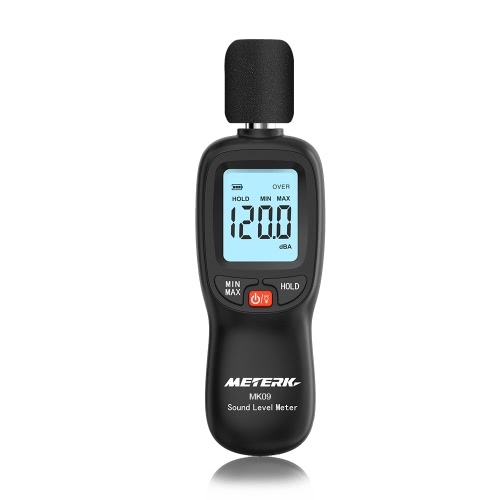 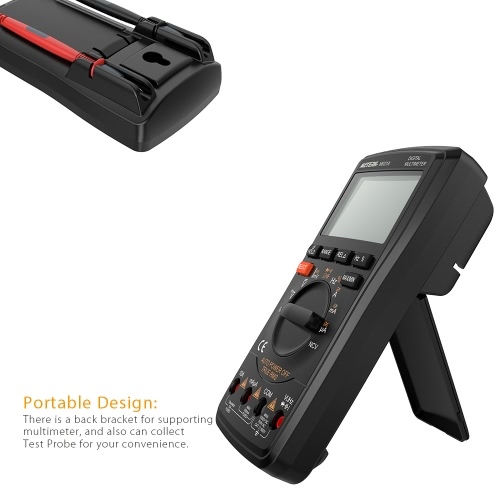 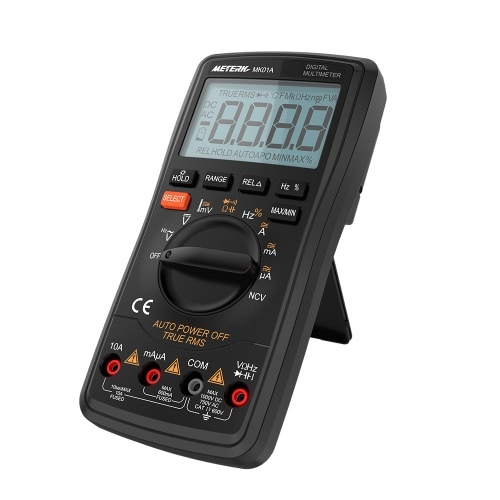 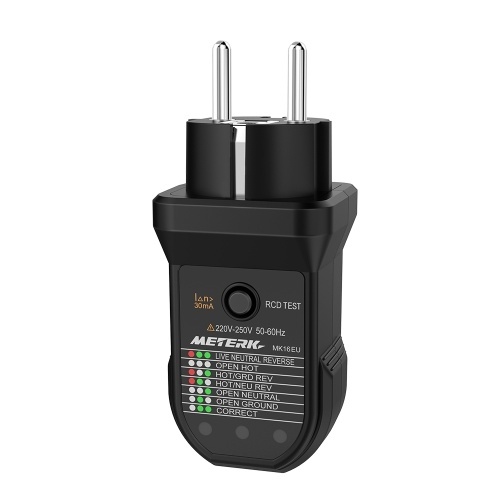 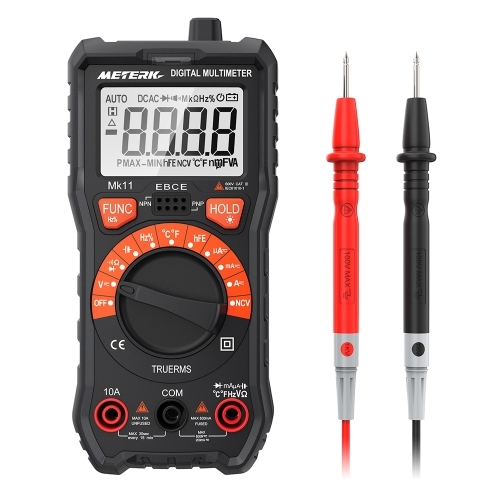 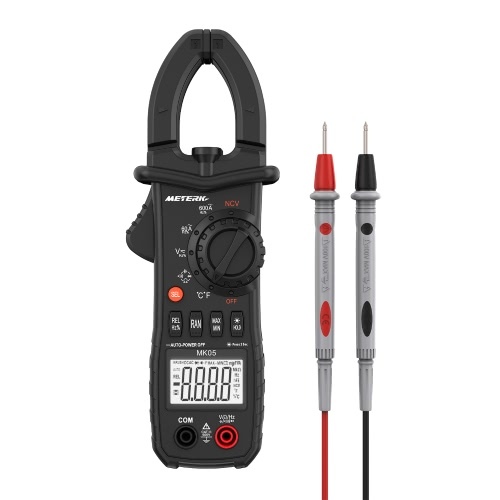 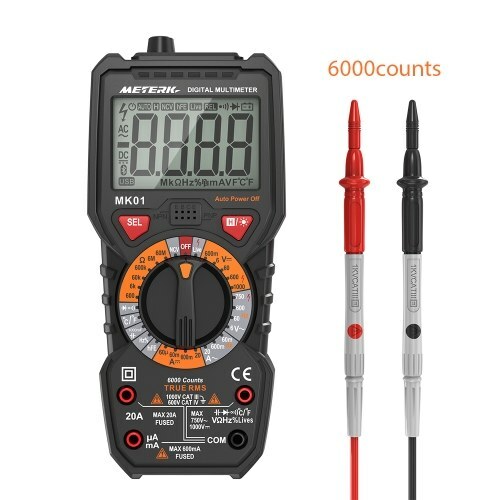 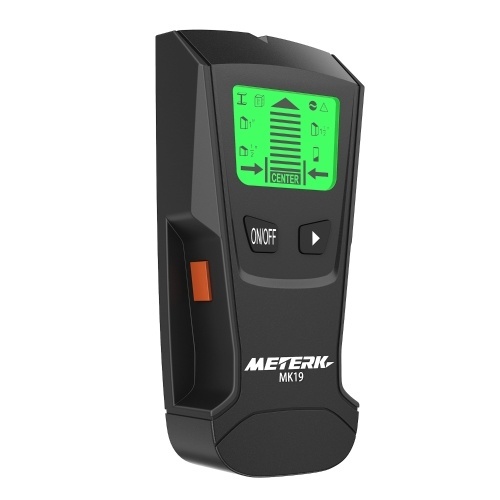 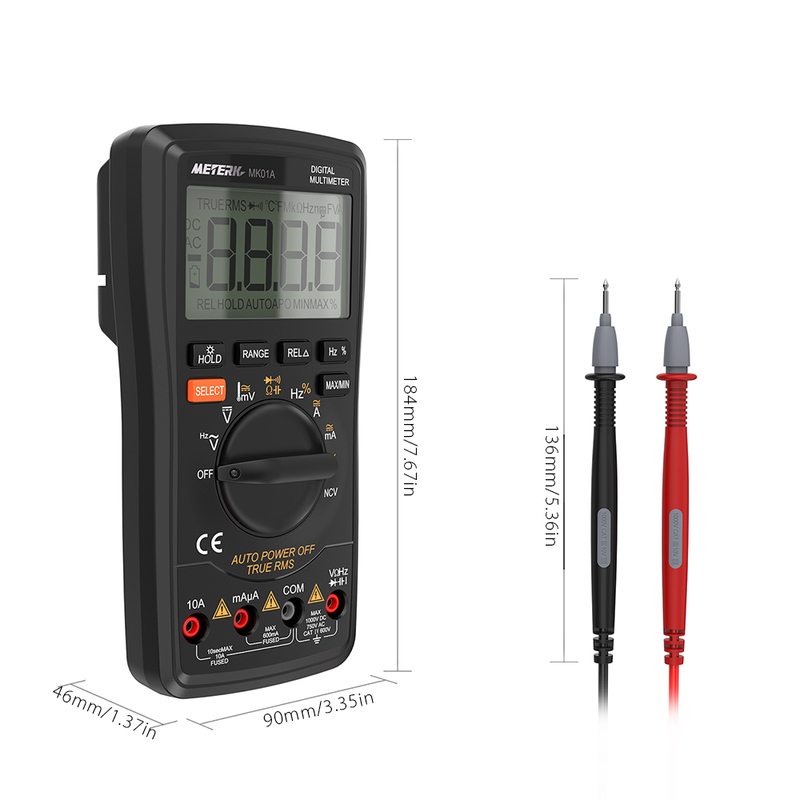 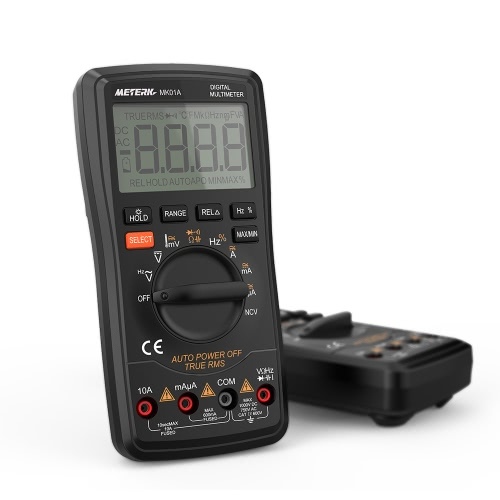 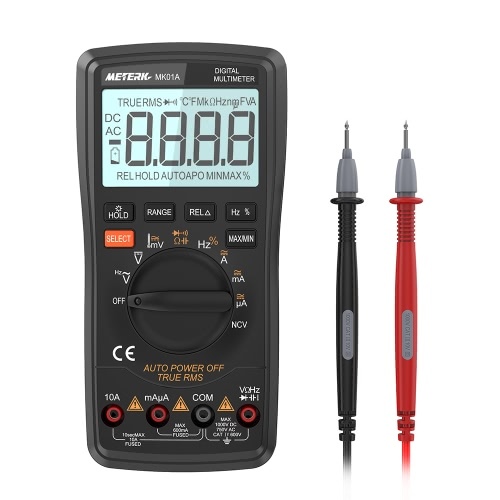 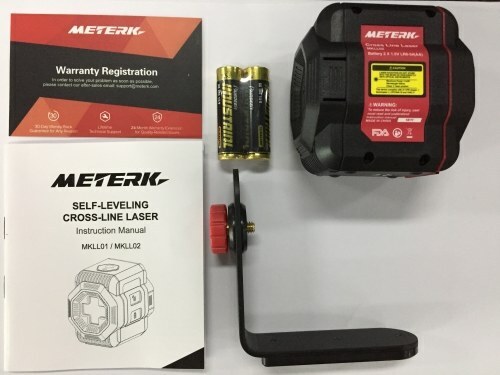 You can choose our Meterk multimeter. 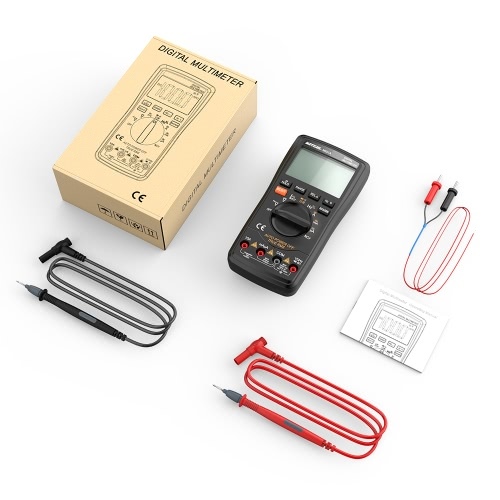 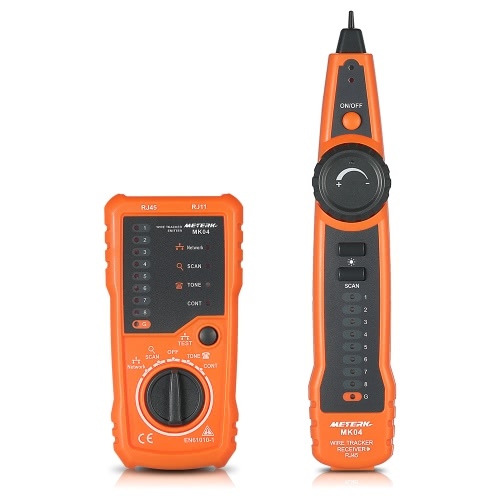 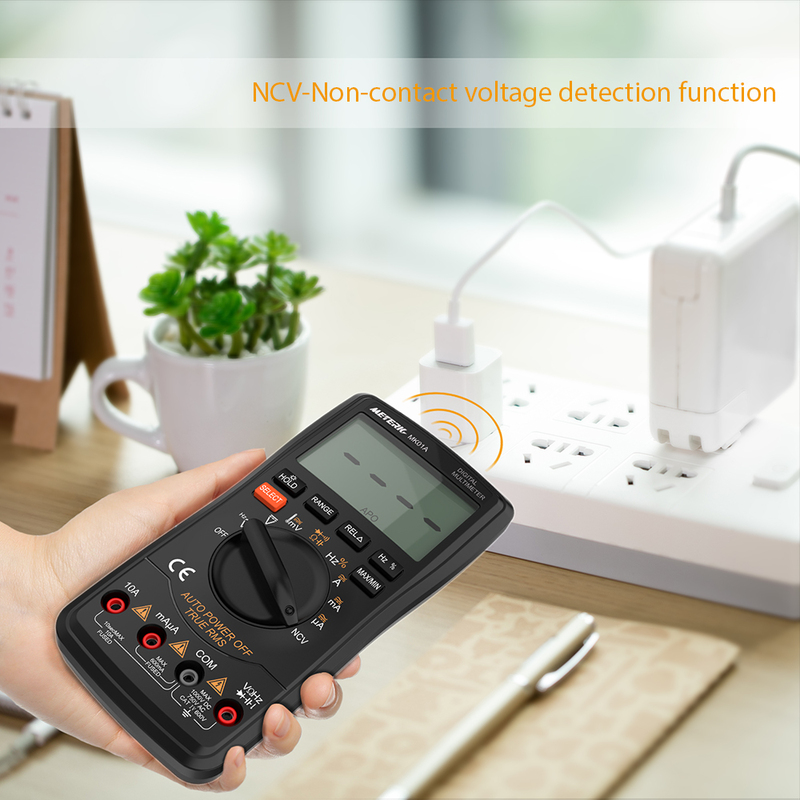 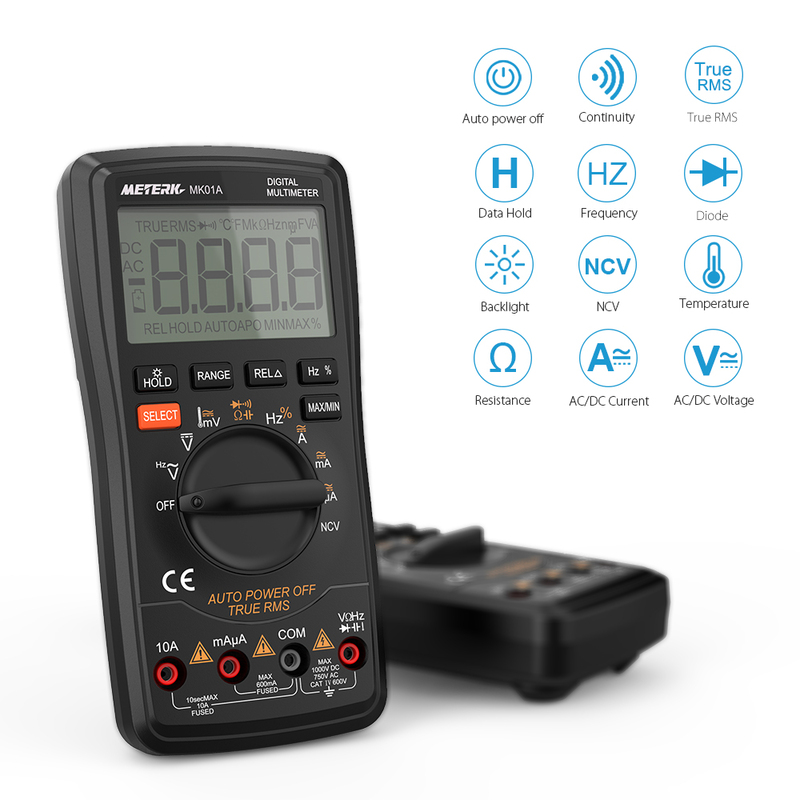 This brand new multi-functional multimeter with high precision and high performance can measure DC/AC voltage, AC/DC current, resistance, capacitance, frequency, duty ratio. It also can test NCV(non-contact voltage), temperature and live line, diode and continuity. With a bracket on the back, convenient to place it on the table and read the values. 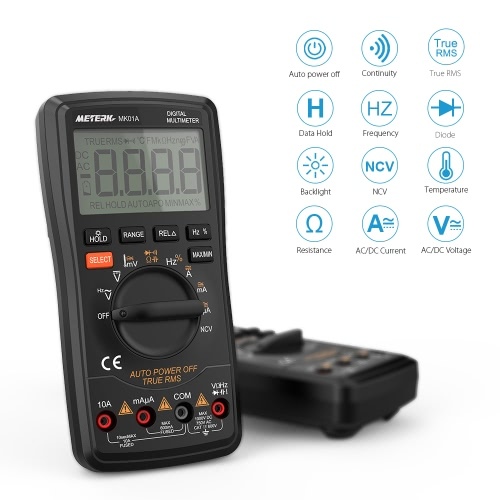 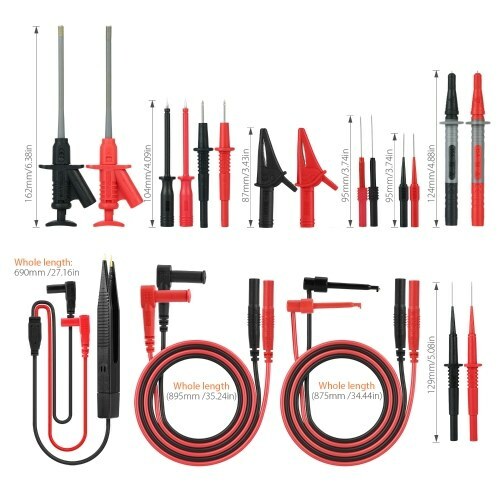 6000 Counts & Multi-function: Can display 6000 counts and test AC/DC voltage/current, diode, resistance, capacitance, frequency, duty cycle, temperature, continuity, live line test with 10 auto-ranging. 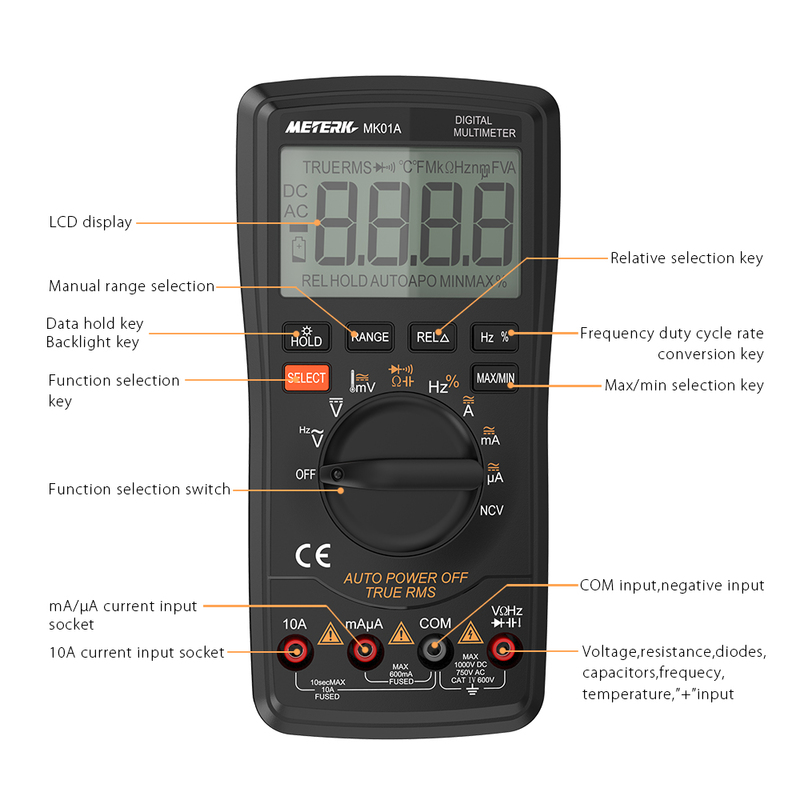 "SELECT" key for Some Functions Selection: Relative value testing, data hold, MAX/MIN value hold and auto power off function. 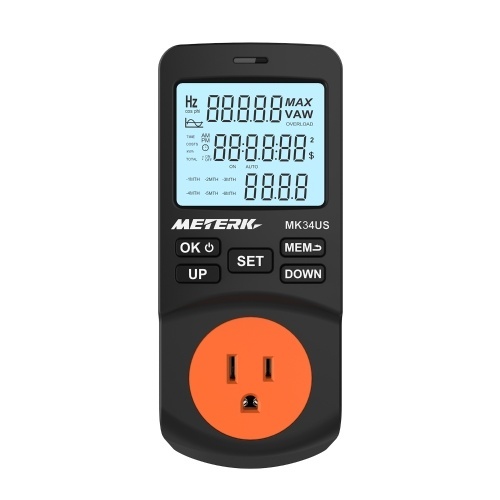 Easy to Use & Clear to Read: Large LCD display with backlight, convenient to use. 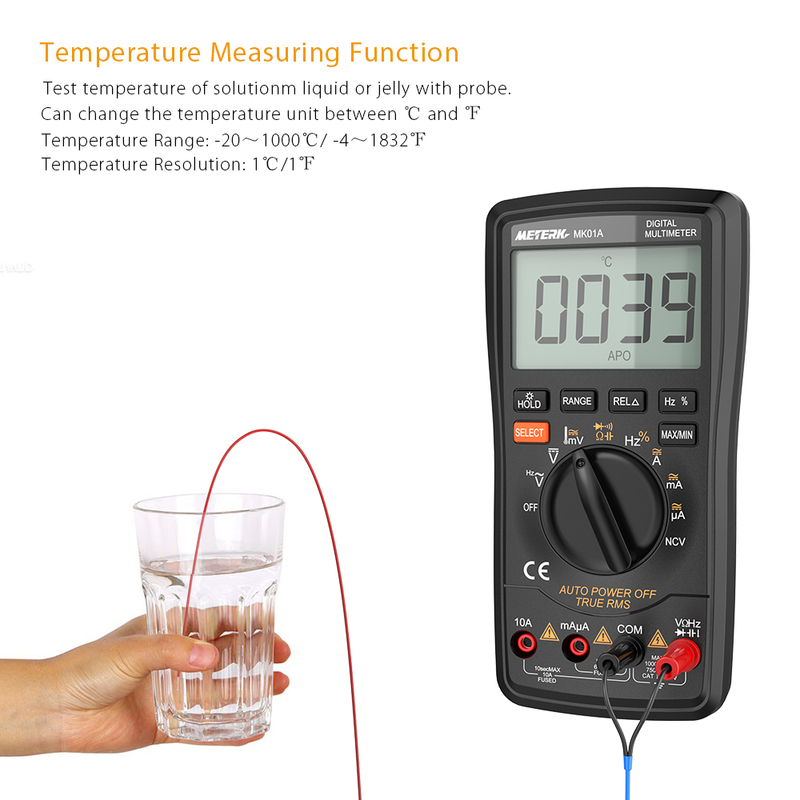 More Features: Can change the temperature unit between ℃ and ℉. 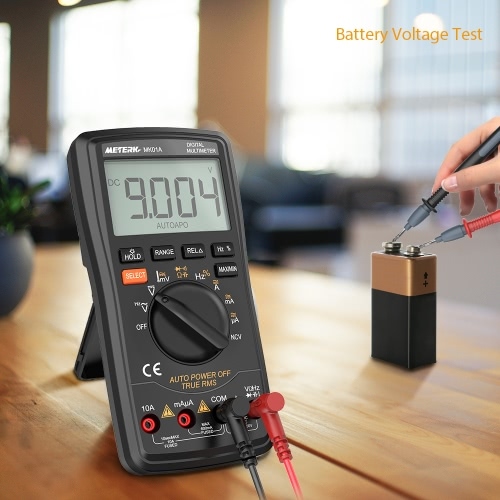 Powered by 1x9V battery (Included). After started up, it's normal for auto range multimeter when the values change randomly on mV position, just short out the input terminal to zero; it will not affect the measuring result. 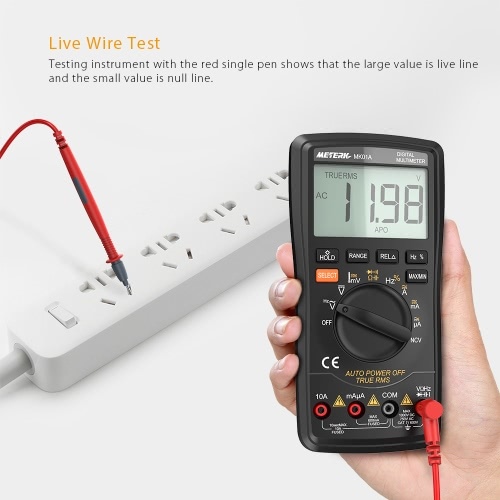 Testing instrument with the red single pen shows that the large value is live line and the small value is null line.